1871 inset map of Westport Mills (source: Beers 1871). The Westport Factory Village area lies at the southeastern boundary of the Westport Factory Zone and is partially located in the town of Dartmouth. A thriving manufacturing area formed around the confluence of Lake Noquochoke, the East Branch of the Westport River, and Bread and Cheese Brook. The historic development of mill activity has been documented as early as 1812, but it is highly likely that earlier mills (including a ca. 1795 operation) were located around the Factory Village area (Butler 1973). 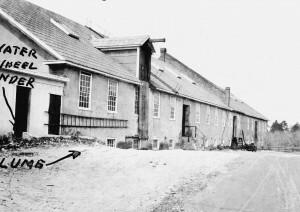 The Westport Cotton Manufacturing Company occupied a wooden building in the village center that was replaced in 1828 by the granite building that stood into the recent past. The company developed as an offshoot support industry for Fall River’s textile factories. The village industries expanded around 1854 with the arrival of the Lewis and Trafford brothers, who utilized several existing stone mill buildings and built new structures to ac commodate their cordage business. The mill owners impounded the river, creating Lake Noquochoke to provide waterpower to the factory for roughly nine months out of the year. A backup steam engine provided power when necessary. The mill complex was enlarged between 1870 and 1872 to include an additional stone mill and four storehouses. As demand increased, a storage plant was constructed in Fall River (Connors 2003). The company’s presence was not limited to mill buildings alone. The company also assisted with the development and construction of Route 6 in the 1890s by providing labor, horses, stone and gravel and other supplies (WHC 1987:26). As many as 300 workers were employed at the factory in the late nineteenth century; many of these individuals were of French-Canadian descent. The business also operated a company store, leased out more than 30 small homes to its employees, and supplied coal to the residents (Butler 1973). An additional 30 homes were built in the area to house the upper level managers (WHC 1987). 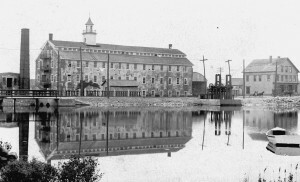 The Westport Manufacturing Company produced carpet warp, twine, mop yarn, batting and lamp wicks from scrap materials obtained from the nearby Fall River cotton mills (Connors 2003). In 1918 the company was still operating at a full-time schedule with approximately 300 employees. 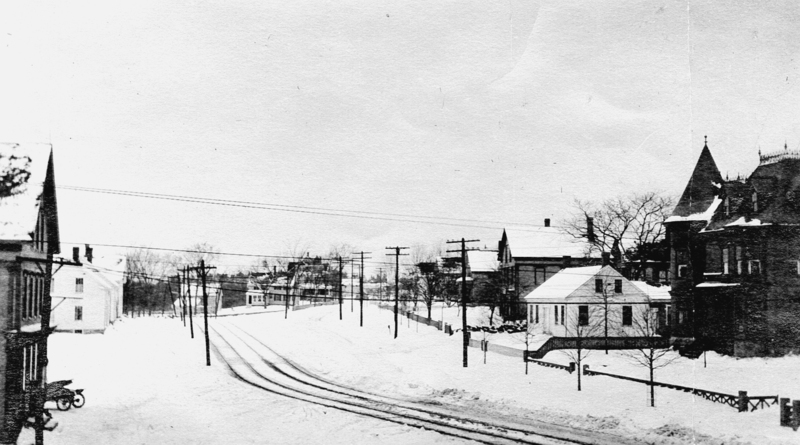 During this period, the mill business included 1,400 acres and 38 buildings, along with employee housing, the company store, a church (shared by the Protestant and Catholic workers), and a two-story schoolhouse (Connors 2003). 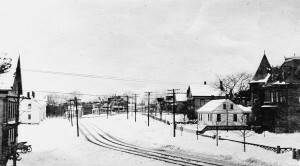 Mill activity continued in Westport Village until the 1920s, but declining demand led the company to declare bankruptcy in 1938 (Maiocco 1995; WHC 1987). Physical elements of the Westport Manufacturing Company are still visible in this section of town, including some of the former worker housing built nearby. The village center housed the largest manufacturing operations, but historic mills were not limited to this area. Activity was focused around the Upper Mill on Route 6 and the Lower Mill on Forge Road. Eighteenth- and nineteenth-century mill activity within this designated zone has been documented along Bread and Cheese Brook at Trout Pond and in the Mouse Mill area north of the road that bears the same name. A spoke factory was reportedly in operation at Mouse Mill (N. Judson, personal communication 2003). Additional operations including saw-, grist-, and leather mills were located downstream from the Factory Village Center. One of the more unusual of these mills was a wooden rule factory located on the north side of Reed Road. A large complex of buildings and landscape features was established in this area some distance from the main waterpower source.